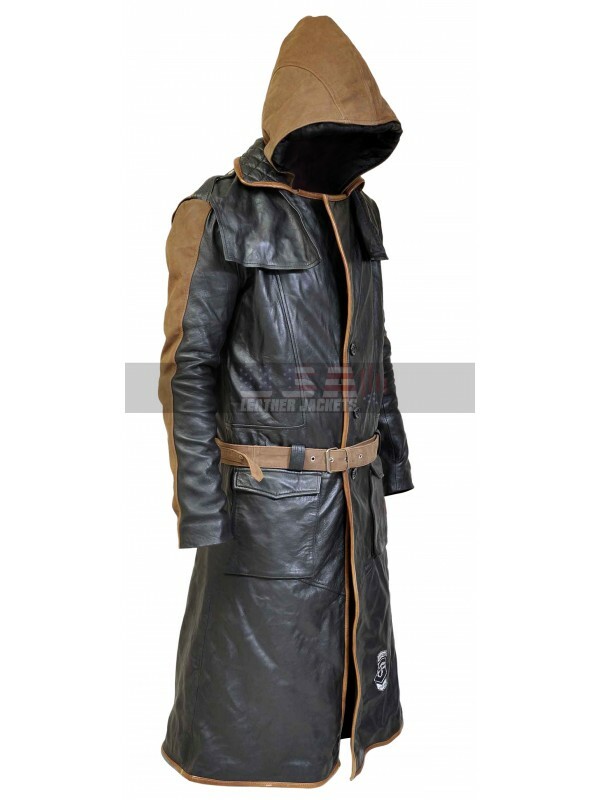 Prep up to be the next Assassin with this fabulous looking costume coat. Taking revelation from the video game series, Assassin’s Creed: Syndicate, this astounding coat is an absolute pick for the cosplayers. The character of Jacob Frye attired this gorgeous outfit and amuse all the gamers with its awe-inspiring glam. Made with the premium grade leather material this Assassin's Creed Syndicate Jacob Frye Brown Hood Costume Leather Coat carries all the luxurious design features and comfort elements that render it an instant go-to garb. It holds an inner viscose lining that keeps the wearer comfortable and relaxed all the time. 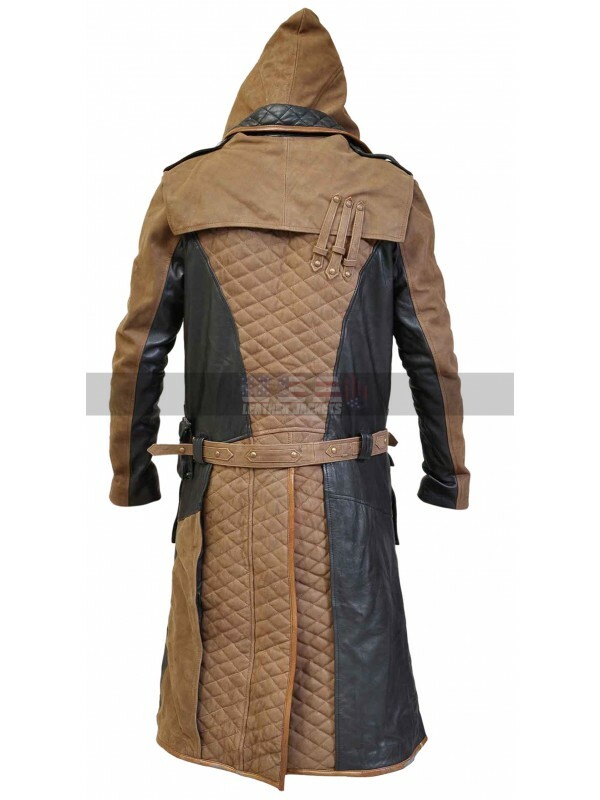 The real beauty of the coat lies in its distinctive brown quilted pattern at collar and back. The collar is trimmed to the modish lapel style while the front can be fastened with buttons and a waist adjustment belt that gives a true to size fit. A detachable hood imparts a classy, mysterious look. Sleeves are long and comfy with open hem cuffs. There are two flap pockets at waist for an impressive, notable image. Fashion happens much faster these days than ever before! Peo..